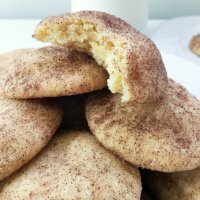 Perfect Snickerdoodle Cookies: This post first appeared as “Snickerdoodle Cookies” over at Eazy Peazy Mealz where I’m a contributor. 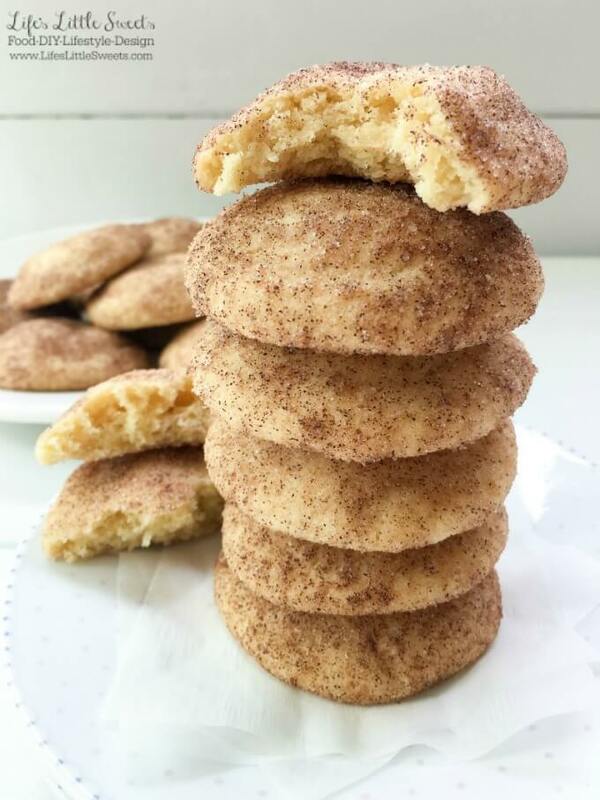 The first time I had a Snickerdoodle cookie was in high school at a Starbucks and I was hooked from the first bite it was the late ’90’s and the traditional Snickerdoodle cookie was making a raging comeback. 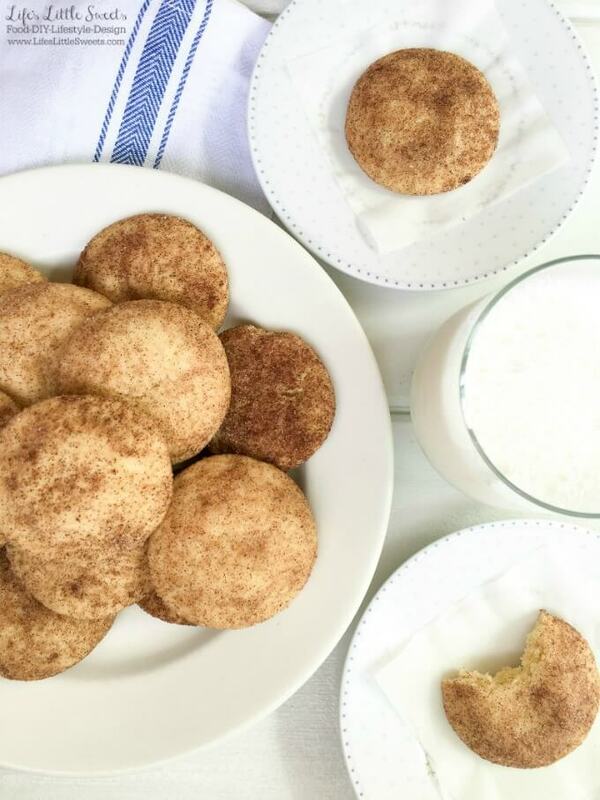 Perfect Snickerdoodle Cookies also happen to be my husband’s favorite cookies too, so this cookie recipe is definitely one of our family favorites. 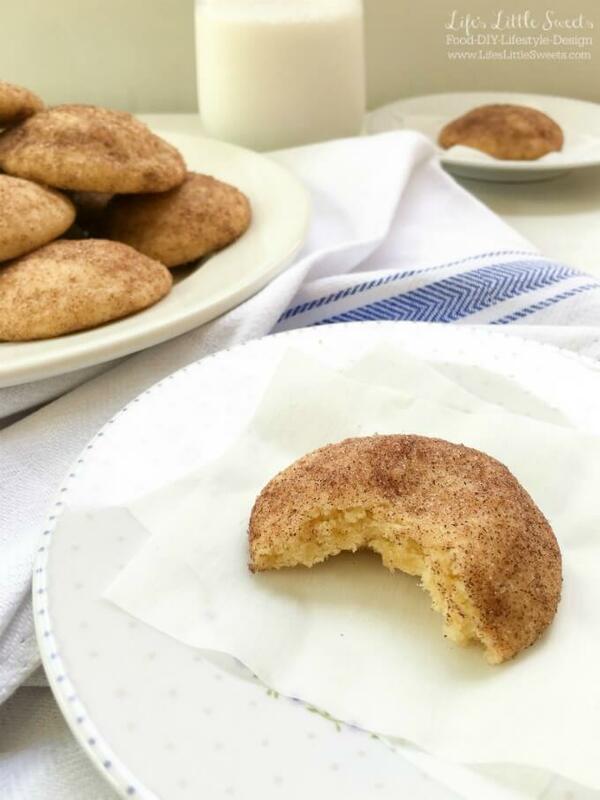 You might also like my Pumpkin Snickerdoodle Cookies recipe. 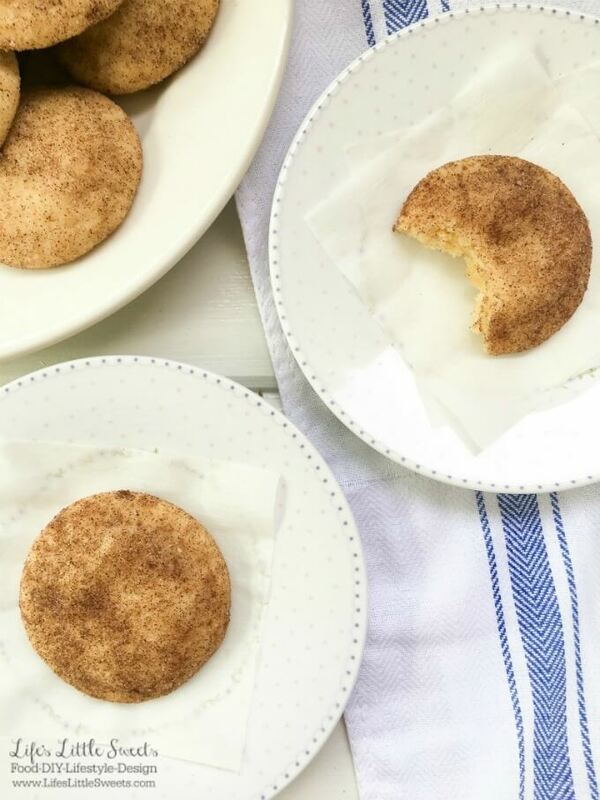 If you like these Perfect Snickerdoodle Cookies, you’ll want to check out these Lil’ Sugar Cookies and Chocolate Swirl Meringue Cookies which also have a chewy texture and crisp outside. In a large mixing bowl, beat coconut oil, 1 cup sugar, baking soda and cream of tartar, scraping down the sides of the bowl, as needed. Add egg and vanilla extract and beat until combined. Add flour in gradually, scraping down the sides as needed. The dough will be sticky and you might need to stir in the remaining flour. Cover the dough and refrigerate for 1 hour or less, until it's easier to handle. 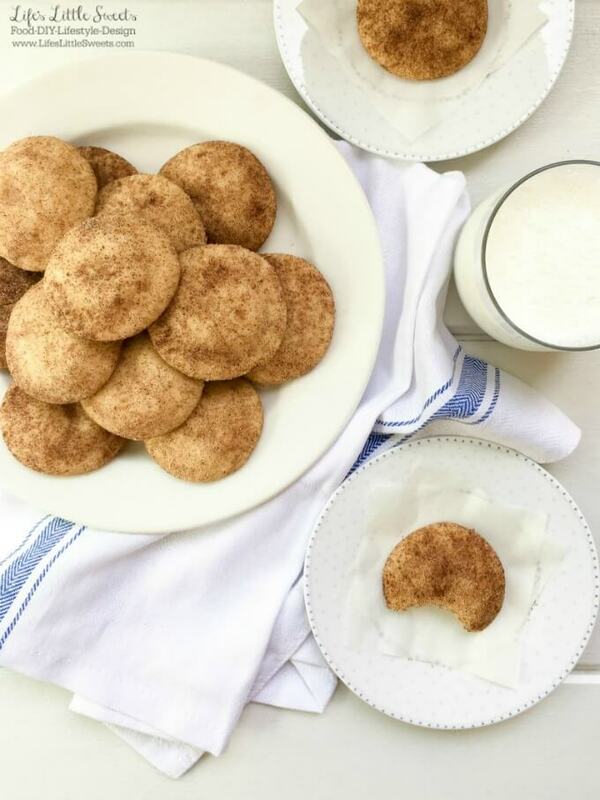 While the dough is chilling, combine the 3 tablespoons of sugar and cinnamon in a small bowl. Preheat oven to 375 degrees F. Take out the dough and allow to get to room temperature. You can use a fork to break up dough, if it's too hard. Form 1 inch balls, roll in cinnamon-sugar mixture to coat evenly. Space about 2 inches apart on an un-greased or parchment-lined baking sheet. Bake 10-11 minutes or until the edges are golden. Allow to cool on a wire rack. Makes 36 cookies. Enjoy! 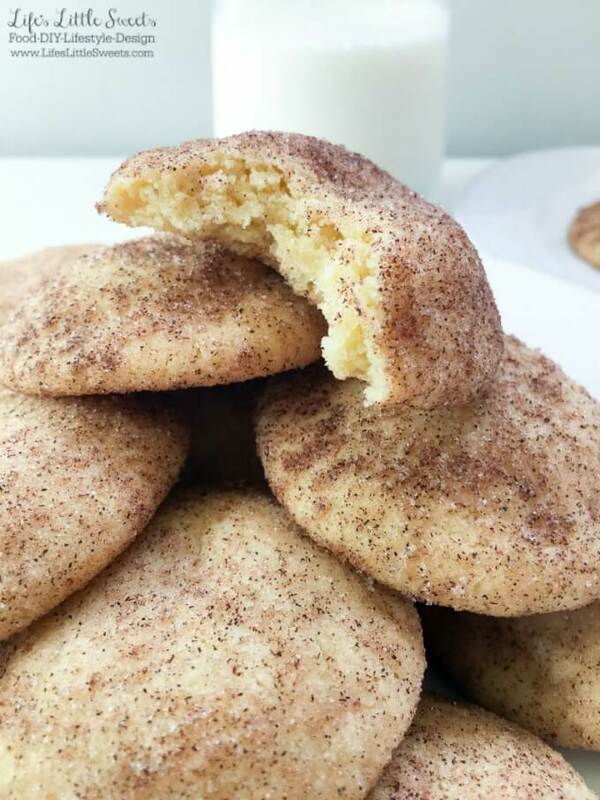 This recipe takes inspiration from “Snickerdoodles” on p. 248 of Better Homes and Gardens Cook Book. Thank you for your feedback and thank you for visiting the LLS blog! When you say 1/2 cup coconut oil do you mean 1/2 cup packed and melted or 1/2 cup melted? 1/2 cup coconut oil when it’s solid and then you melt it and allow it to cool (just so it’s not hot). However, I have made this recipe on a warm day when the coconut oil was already melted and measured the coconut oil with a wet measure and the recipe still came out just fine (and this would be the same for unsalted butter if you are making that substitution). Thank you for your question and I hope that helps! i made this recipe for my family’s annual cookie day. I doubled the recipe and used butter instead of coconut oil. followed the recipe exactly. And they were ~flat~ As an aspiring Baker I take homemade desserts seriously and it’s very personal when something goes wrong. Everybody was understanding despite my feeling inadequate. My pan was not hot…. anybody else end up this way??? I used butter, but after I rolled the cookies in the cinnamon-sugar I put the cookies (on the cookie sheet) in the fridge for about 15 minutes then baked them. In the ingredient list, you have 3Tbsp of sugar, I assume for the cinnamon sugar mixture, but then in the instructions you say to combine the 2Tbsp of sugar. I assume, based on other recipes that the correct amount is 2Tbsp, but could you please clarify. Yes, I see that, for the cinnamon-sugar mixture, that ratio can be changed to ones tastes and it won’t alter the cookie itself since it’s not mixed directly in the dough batter. Some people prefer it less cinnamon-y and vice versa. Thanks for pointing that out I’ll make a Note to explain that further. Thank you so much for visiting and commenting, I hope you have a wonderful holiday season! You have listed 1 cup granulated white sugar & 3 tsp of granulated sugar. Research tells me they are both the same. Please explain! Yes, you are right, they are both the same types of sugars, sorry if that is confusing, sometimes I leave off “white” sugar because it can be too long when mentioning it more than once. Thank you for reading and happy holidays! Does the 1-1/2 cup of flour mean between a half cup to a full cup of flour… or does it mean 1 AND a half cups?? I used 1 and a half cups of flour and my dough is not sticky like you described. However I used butter instead of coconut oil. I also have the same question. The recipe calls for 1.5 cups of flour Then in the instruction part reads “dough will be sticky if so add remaining flour.” Not sure what remaining flour it is referring to. I added 1.5 cups of flour and the dough was not sticky. Please clarify. 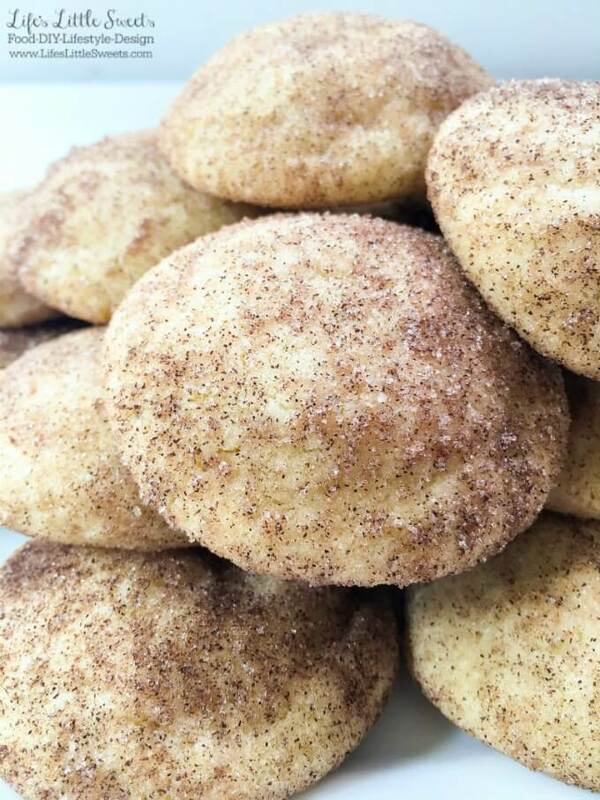 Hi Sara, these were the BEST snickerdoodles I have ever made or tasted! I will keep this recipe forever-thank you SO much! Looking forward to making these year-round. The centers of mine fell after taking them out of the oven, but otherwise they were without question the best snickerdoodles I have ever made. I have tried MANY recipes and these were amazing! I love how the cookies came out, followed the instructions as is and it’s my first time baking cookies, super proud of myself on how they turned out. Will definitely keep this recipe. I’m sorry I missed this comment before; I’m so glad you enjoyed them! Most wonderful and easy to make cookies ever! I did not have any cream of tartar so looked up on Google and the suggestion (which I used) was replace 1/2 teaspoon of Lemon juice for the 1/4 teaspoon of cream of tartar. Brillant!! Right out of the oven, my daughter grabbed one (it was hot too) and took a bite of deliciousness (her words). Hi Jackie, I’m so glad you and your family loved them! Great suggestion about the cream of tartar substitution! These were good but waaaay to sweet. No salt in the recipe. Next time I’ll add 1/4 tsp salt to tame the sweetness. Thanks for a quick easy recipe. I always encourage people to customize the recipes to their liking, I am glad that you like them otherwise! Best Wishes! It took me an hour and a half and totally worth it. These are very nice cookies! Just like it was describe, Pillowy! Perfect!!! Delicious!!! I leave them on the cookie sheet to cool for a bit. Maybe removing them from the sheet too soon would cause them to go flat. Mine turned out perfect!!! Hi Rae, I am so glad you liked them! They were yummy but mine came out kind of crispy throughout, but they weren’t burnt. I’ve never used coconut oil for cookies so I’m wondering if that was the reason. How long did you bake them? What kind of pan did you bake them and how large were the dough balls? All these factors affect the outcome of the cookies. They will still come out crisp on the outside and soft on the inside with coconut oil. My guess is that they were baked longer to make them crisp throughout (some people like them this way). I would just cook them less next time, individual ovens will vary. I hope that helps! Hi Holly, thank you for coming back and taking time to comment, it means a lot to me knowing that this recipe is one of your treasured cookie recipes! Keeps me going! I’m not sure where I went wrong 🙁 They look perfect, smelled and taste delicious. They were perfectly chewy right out of the oven but by the evening they were little bricks! My family still enjoyed dunking them in milk but I know that’s not how they were supposed to turn out. Any suggestions as to what may have caused this? Did you use butter or coconut oil? Both should get you that nice texture on the interior. My first guess would be that they were just over cooked. Some people prefer them crispy and to get them crispy, I tell people to just cook them a little longer. Make sure to keep them in an air tight container so they don’t harden as well. 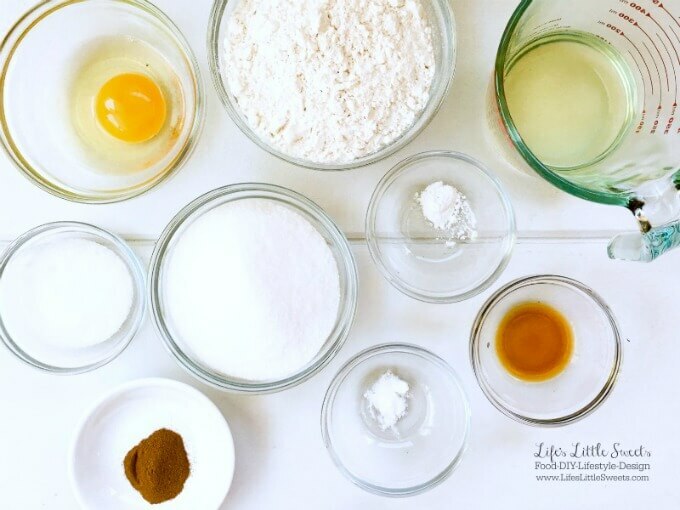 Did you use an electric mixer when making them? It does wonders in whipping air into the dough to get the texture nice. I hope that helps! I’m so glad you like it! Yes, this is a classic American regional cookie recipe that my husband grew up with and I discovered in my adulthood. I’m so glad that your friends like it too! Tasted good but fell flat. I redid the recipe with room temperature butter and they rose better if anyone else was wondering. Made these for party tomorrow. Do I leave them out of fridge or in? Just make sure they are in an airtight container, since they are baked, out of the fridge is fine!